This is a decorative monkey's fist knot. 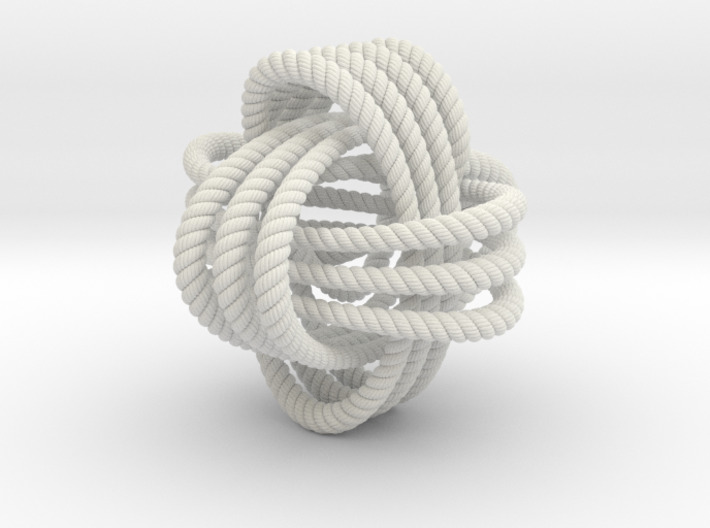 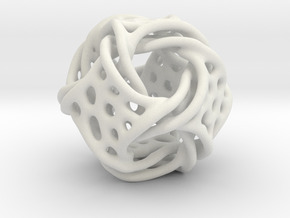 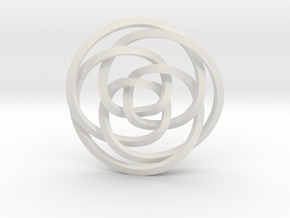 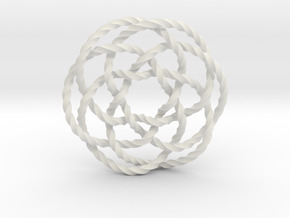 Compared to a standard monkey's fist, it is modified a little so as to be one endless knotted loop. 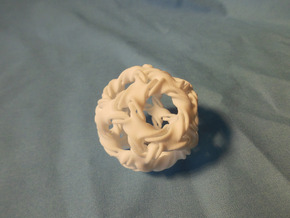 The bounding box of the "medium" size is actually a bit smaller than that of the "small" size, but the model is thicker overall.